Smart phones are very practical. But sometimes, handling them is really hard, especially, when the “precision tool” finger shall operate smallest areas. The emporia emporiaSMART has been specifically designed for the Generation 55+. It helps this group, which is often underrepresented among smart phone users, to take the step towards up-to-date communication. The exterior main characteristics are a stylus, which helps to target smaller areas better, and a hardcover, which serves as a keyboard. 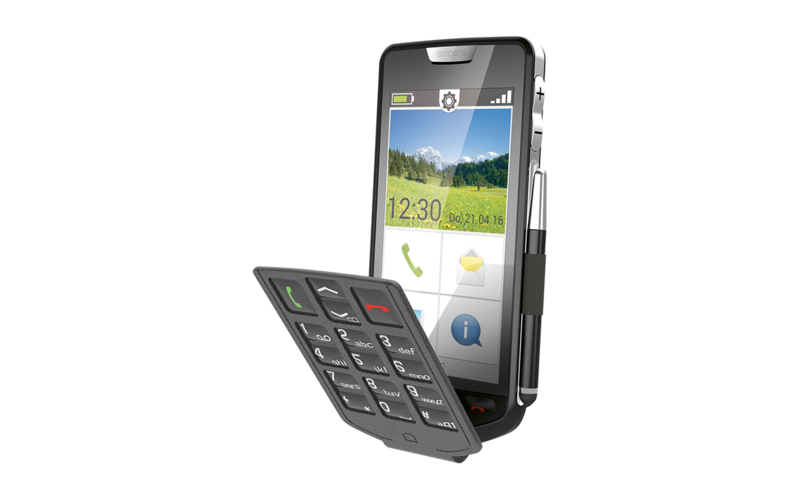 That way, emporia combines the classical telephone handling with the modern touch functionality of smart phones. In addition, the start menu of the emporiaSMART has been simplified and logically structured so it works intuitively. The large battery with a capacity of 2,600 mAh can be charged in a special charging station.